Voters living in many parts of England will go to the polls to vote in local elections on Thursday 3 May, with council seats up for grabs in all 32 London boroughs, 34 metropolitan boroughs, 67 district and borough councils and 17 unitary authorities. As with most local elections, the vast majority of the public probably won’t pay too much attention to them, although the media commentariat will see their outcome as an important barometer of the relative strengths of the Conservatives’ and Labour’s popularity ahead of the crucial period in the Brexit negotiations which will be occurring between now and the end of October. Yet for voters living in a very small number of local authority areas, the 2018 local elections will take on an additional degree of significance. Five places – Bromley, Gosport, Swindon, Watford and Woking – are being used to pilot a new scheme that would require all voters to present a valid form of photographic identification before they are allowed to vote. Presumably, if the government believes that this initiative is successful then they will look to roll it out at other democratic events, including possibly one day using it at general elections and national referendums. Given that this pilot proposal has attracted criticism from a wide range of experts in democratic engagement, why has it proved to be so controversial? And what specific impact might it have on younger voters? Electoral fraud: a dog that hasn’t barked? The official rationale for implementing the voter ID requirement is to cut down on voter fraud. Chloe Smith, a Conservative MP and junior minister in the Cabinet Office, has justified the change by saying “We already ask that people prove who they are in order to claim benefits, to rent a car, or even to collect a parcel from the Post Office, so this is a proportionate and reasonable approach.” The implication of introducing this scheme is that large numbers of people are attempting to cast multiple votes by pretending to be other people who they’re not, a ruse which in theory it would be relatively straightforward for fraudsters to get away with because you don’t currently need to present any identification – not even a polling card – to be allowed to cast a vote, as long as your name matches one which is held on the electoral register for a given area. On 3 May, voters living in the five pilot areas will only be able to vote if they present a valid form of identification, the precise requirements for which have been advertised to the voters who are affected. As you might expect, passports and driving licenses will both be acceptable, alongside a range of other less universal types of identification documents. The two major criticisms which have been made of the pilot voter identification scheme is that, firstly, electoral fraud of the type that it is designed to combat is vanishingly rare, and secondly, evidence from the USA suggests that voter identification requirements may have a disproportionate effect on particular groups of voters, making it harder for them to take advantage of their democratic right to vote. On the first of these two criticisms, the evidence that voter identification fraud is a significant problem appears to be remarkably thin. Obviously, this is a challenging issue on which to obtain reliable data because successful cases of fraud would be undetectable, but the available evidence which we do have shows that in the whole of period between 2010 and 2016 (which included two general elections, multiple sets of local elections and the referendum on Britain’s membership of the EU), there were just 146 allegations of voter impersonation fraud, only seven of which were substantiated by a conviction. Speaking to The Guardian, Stuart Wilks-Heeg, an expert on electoral integrity at the University of Manchester, branded the pilot scheme “a solution in search of a problem”, pointing out that the majority of proven cases of electoral fraud in the UK (of which there are still only a tiny handful overall) involve fraudulent postal voting – an issue which requiring voters to present ID in person would do nothing to resolve. Voter identification has been mandatory at elections in Northern Ireland since 1985, but like many other unique aspects of Northern Ireland’s political culture this is a legacy of the Troubles, which saw organised, large-scale attempts being made to interfere with the electoral process for sectarian purposes. Even though voter fraud appears to be a largely mythical problem, there might still be a case for implementing strict voter ID laws if it would strengthen the integrity of the electoral process without there being any downsides to it. However, the second of the two criticisms referred to above, the disproportionate impact of voter identification laws on certain groups, requires us to examine evidence which has been gathered in the USA over recent years which suggest that such laws do make it significantly harder for certain groups of perfectly innocent voters to cast their votes. The debate surrounding voter identification laws in the USA has gathered pace in recent years, following decisions that were taken by a number of mainly Republican-controlled state legislatures to impose new voter identification requirements for elections. According to the National Conference of State Legislatures, the number of American states which have strict voter ID requirements has risen from none in 2004 to 11 in 2016, while a further 21 states have some kind of voter identification requirements on their statute books (although there is some variation from state to state with regard to how strictly these rules are enforced). Echoing the arguments presented above by the Cabinet Office, these laws have nearly always been presented on the grounds that they curb voter fraud, even though critics have consistently argued that there is virtually no evidence of significant voter fraud actually occurring (most notably, ever since the 2016 presidential election, President Trump has repeatedly claimed that one of the main reasons why he didn’t win a majority of the popular vote was because of extensive electoral fraud in Democrat-voting areas, despite producing no evidence to back up these assertions). Major debates have emerged in the wake of these laws being implemented about the extent to which they have the effect of reducing turnout among electoral groups who don’t have easy access to acquiring official forms of ID, who tend disproportionately to be non-white, non-English-speaking, poor and/or lacking a stable address. Essentially, while there is widespread agreement across most of the academic studies which have looked at this issue that socially disadvantaged groups are less likely to possess these forms of ID, the crucial question is to what extent these laws prevent people from voting who would have done so otherwise, given that these groups already tend to have lower turnout overall. The Brennan Centre for Justice have pulled together a lengthy list of academic studies which assert that there is a link between depressed voter turnout among disadvantaged groups (who overwhelmingly tend to vote Democratic) and voter ID laws, but others have argued that the statistical effect appears to be quite small. One of the best articles on this topic was written by polling guru Nate Silver, who argued that these studies consistently demonstrate a negative effect on turnout of around 2%, which would be trivial in many elections but could have a decisive impact on extremely close races. No-one knows what impact strict voter ID laws would have in the UK yet, but bodies such as the Electoral Reform Society and the Human Rights Commission have already protested the pilot scheme being trialled. The former organisation has pointed out that the 2011 Census showed that 9.5 million people stated they did not hold a passport, 9 million do not have a driving licence and 1.7 million lack even a bank account; in this context, it seems noteworthy that virtually all the forms of ID which are acceptable under the pilot scheme cost money to obtain (£43 for a driving license, or £85 for a passport, for example), potentially creating a barrier to voting for people on lower incomes. In a hypothetical future scenario where the UK introduced strict voter identification laws for general elections, a 2% average suppression in turnout across all 650 constituencies could affect the overall outcome given how close two of the last three general elections have been; there were 50 seats in 2017 were the winning MP had a majority of fewer than 1,000 votes, so very small shifts in turnout and voter preference could easily have produced a different overall outcome. The reason why this is potentially an intergenerational issue is that several of the research studies which found a relationship between strict voter ID laws and turnout suppression in the USA showed that younger voters were disproportionately affected by them. Millennials are less likely to have driving licenses than their older peers, and also the fact that many young adults change address frequently because they rent temporary accommodation makes it harder for them to keep their ID documents up-to-date. The last major reform to Britain’s electoral system, the introduction of individual voter registration, resulted in a disproportionate number of younger voters not being registered to vote because they were more likely to have changed address recently than older generations; given the difficulty which government bureaucracy has keeping up with people who lead highly precarious lives, placing an additional bureaucratic hurdle between them and the ballot box is likely to exacerbate the problems of disillusionment and low turnout among the youngest section of the electorate. 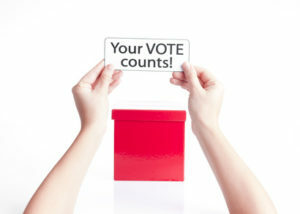 Nobody would argue against seeking to protect the integrity of Britain’s electoral system from genuine threats, but given the overwhelming lack of evidence that voter impersonation actually constitutes one, and the broad consensus among experts that voter ID laws suppress turnout among marginalised social groups to some degree, the burden of proof ought to be borne by those who are seeking to implement such a potentially significant change, not those who are arguing in favour of the status quo. As – the recent “Youthquake” notwithstanding – younger voters are still significantly less likely to vote in elections than older ones, any barriers which might make it even harder for them and other under-represented groups to cast their votes should require extremely rigorous evaluation before they are implemented.